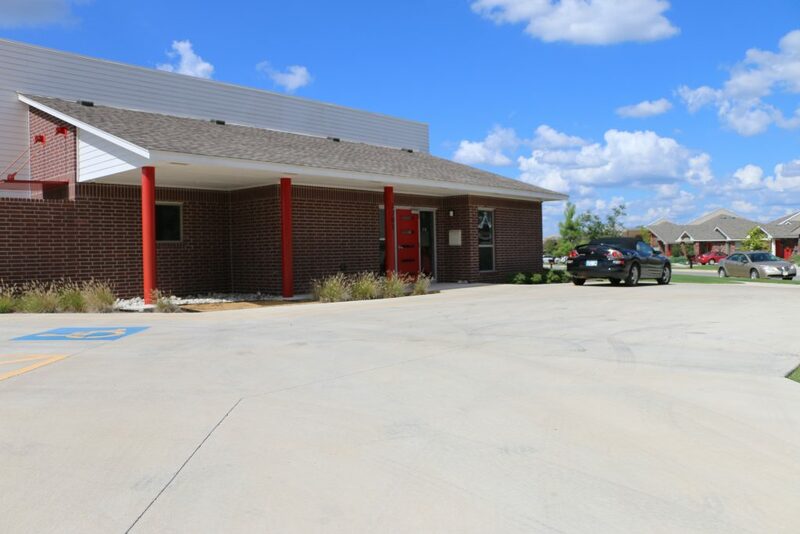 With its winding streets, red doors and modern architecture, Forest Village was recognized as a runner-up in the affordable housing category of the Senior Housing News 2018 Architecture & Design Awards. To the seniors who live there, the tidy community is so much more than meets the eye. It’s a nice, comfortable, safe environment. You have your privacy, but you mingle with the other residents and get to know your neighbors. 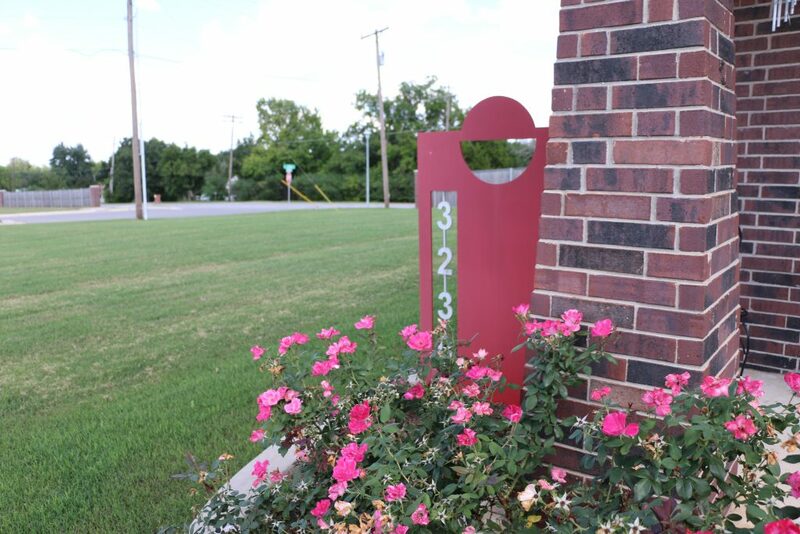 For Faye, moving into a development that featured single-story duplexes first attracted her to Forest Village. 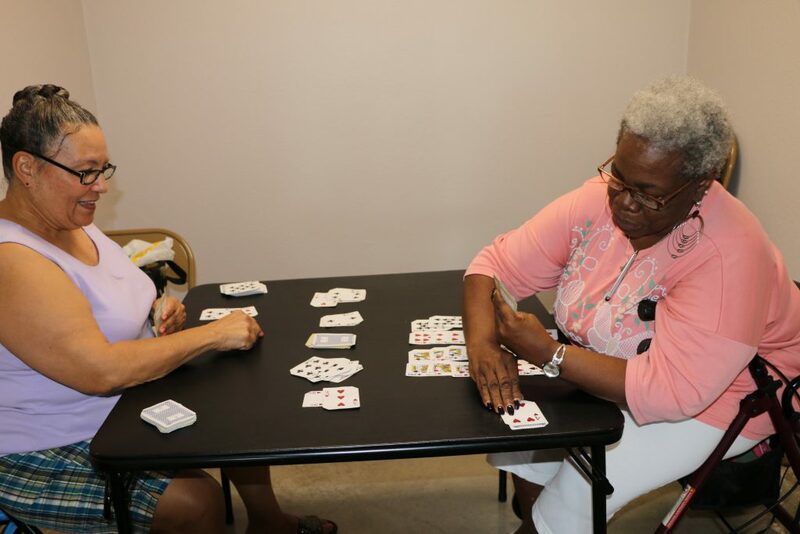 However, the camaraderie developed over daily card games, potluck suppers and monthly door prize drawings sets Forest Village Estates apart from the rest. 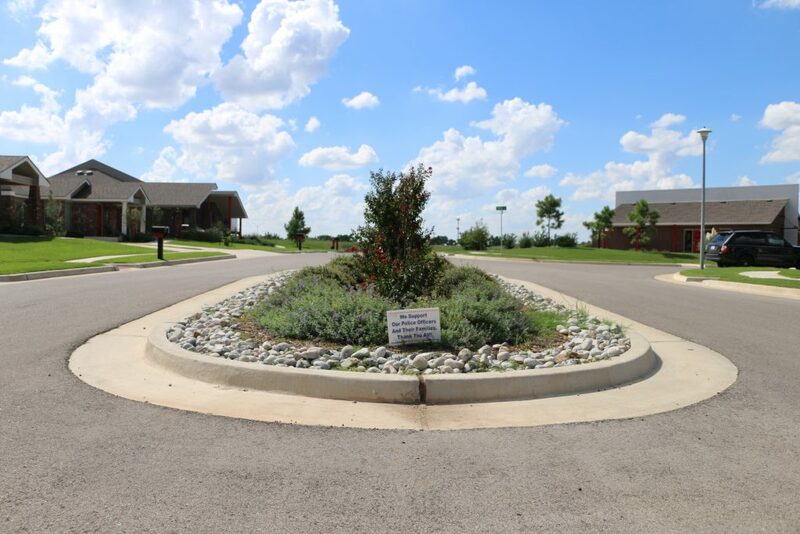 Forest Village Estates Resident Faye Sherrill discusses the vibrant living at Forest Village Estates. Developed by Central Urban Development Inc., Forest Village Estates opened in 2017. OHFA provided $611,000 in Affordable Housing Tax Credits to help make the 34-unit duplex community for seniors 62 and older possible. I just love it and I tell everybody about it. This will be my home from now on. 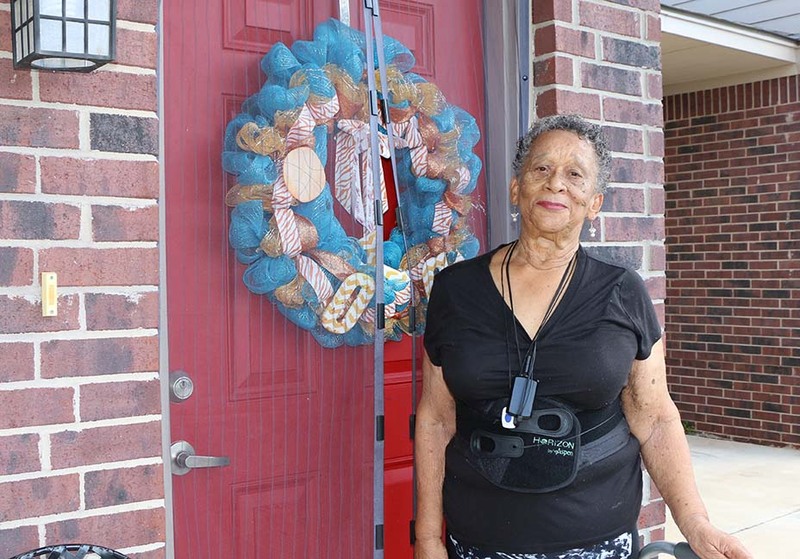 Anita Taylor, a diehard Oklahoma City Thunder basketball fan, shows her team pride year-round with a wreath on her front door bearing the team’s blue and orange colors. 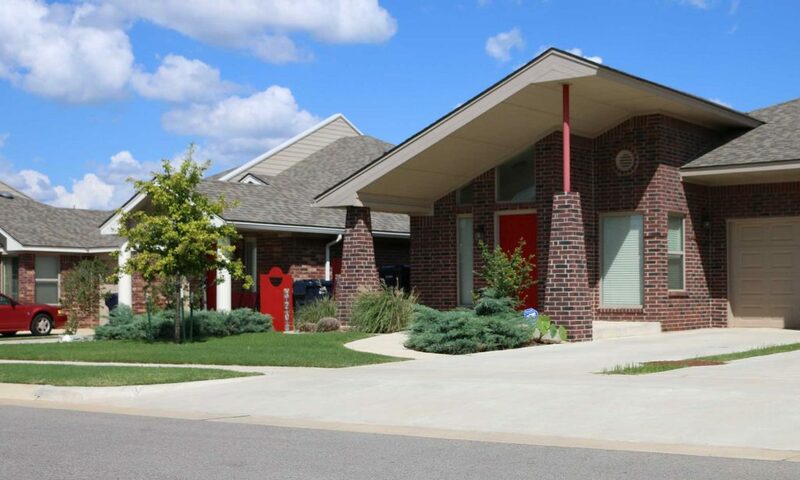 Living at Forest Village Estates offers the perfect opportunity to watch games with her neighbors. “I think it would be fun to watch a game in the clubhouse but they might throw me out for hollerin’ and carryin’ on,” Anita said with a laugh. In 2018, OHFA funded 1,593 rental units through the Affordable Housing Tax Credits program. OHFA also provided 3,125 in monitoring services across the state, ensuring residents like Faye and Anita have quality places to call home.